This excellent report has been professionally converted for accurate flowing-text e-book format reproduction. Civil-military relations are a result of the simultaneous presence of military, governmental, and humanitarian organizations on a common battlefield. At its heart, the problem in civil-military relations is synchronizing three fundamentally different groups not only to coexist, but to work together with complementary effects. Created in 1993, the US Humanitarian Demining Program is a collaboration between the US Department of State, the Department of Defense, and the US Agency for International Development establishing support to an international response to the global threat of landmines. The changing security environment following the end of the Cold War increased military commitment to humanitarian operations and exacerbated the challenge when coupled with a downsizing of the United States military capability. The problem for the US military is addressing the persistent global threat of landmines during a time of increasing military commitments and decreasing military resources. 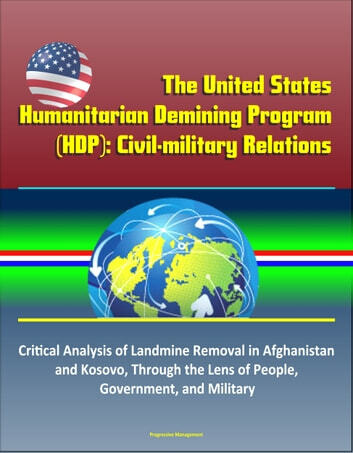 Multiple theories of civil-military relations allow a critical analysis of the Humanitarian Demining Program in cases in Afghanistan and Kosovo. Perceptions from the people, government, and military add greater depth to the understanding of tensions in civil-military relations. 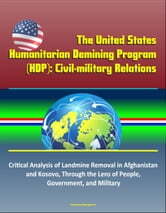 This understanding leads to the conclusion that focusing on civil-military relations allows the Department of Defense to leverage interorganizational capabilities to mitigate increasing military requirements in times of decreasing resources while increasing the effectiveness of the HDP.